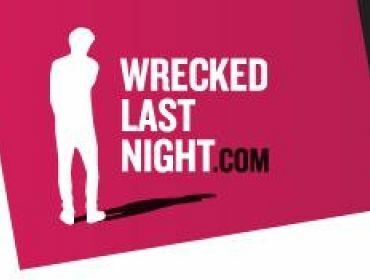 Wrecked Last Night launched on January 16th 2012 and is a campaign designed to highlight the risks of alcohol to underage drinkers, particularly those aged 14-16. It has been developed jointly by Rhondda Cynon Taf, Merthyr Tydfil, Blaenau Gwent and Caerphilly Community Safety Partnerships. 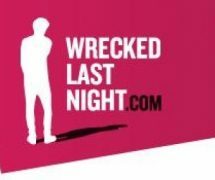 The campaign running across cinema, radio, billboards, buses, social media and posters/flyers in your local community, aims to highlight the risks of alcohol and educate young people to ensure they make the right choices in life. Alcohol can ruin a good time for everyone and make you do things you’ll regret as well as cause both short term and long term health issues. Help us to raise awareness of this group and campaign by promoting it and sharing it with your friends. It is an offence to sell alcohol to an individual under the age of 18 years old. 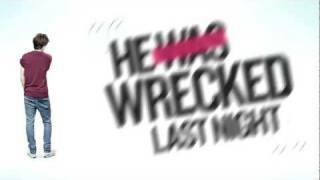 An individual under the age of 18 also commits an offence if he buys or attempts to buy alcohol. It is also an offence to buy or attempt to buy alcohol on behalf of an individual aged under 18. This is known as a ‘proxy sale’. It is a separate offence to buy or attempt to buy alcohol for an individual under the age of 18 for consumption on a licensed premises. There are exemptions for this separate offence in relation to 16 and 17 year olds accompanied by and bought or supplied with alcohol by a person over the age of 18 when the alcohol is beer, cider, or wine only and is for consumption at a table meal. A table meal is defined as a meal eaten by a person seated at a table or at a counter and is not used for the service of refreshments for consumption by persons not seated at a table. Visit the WIN page for a chance to win up to £1000 in Apple vouchers by completing a short quiz about alcohol. To enter the competition you must be aged between 14-16 and from Rhondda Cynon Taf, Caerphilly, Blaenau Gwent or Merthyr. Click Here for some useful links about alcohol and it’s effects.